This book is the second to chronicle the bizarre life of Michael Swarbrick. It is a wild gallop from one surreal catastrophe to another, with Michael usually taking the blame, despite his innocence. The set pieces are often familiar – Michael's only friend Paul is caught spying on the girls' changing room during showers; his feckless, philandering brother – a marvellously embarrassing caricature of a self-styled `Love God' – is caught climbing into his girlfriend Lucy's room; his parents publicly declare themselves as nudists but yet it is Michael who is sent for counselling in order to learn to moderate his behaviour. Chas, his counsellor, is an artful 60s throwback pastiche, complete with cringingly outmoded hipster speech idioms but it is Michael who resolves his problems, not the reverse. Indeed, the book confounds expectations of character and plot throughout and thus the ending, with every strand neatly tied off, is a structural disappointment, leaving a residual feeling that it has begun to run out of steam. The saving grace is that Michael is finally vindicated, winning Lucy's friendship and his own peace of mind, though even this welcome transformation feels a little too rapid to be wholly believable. 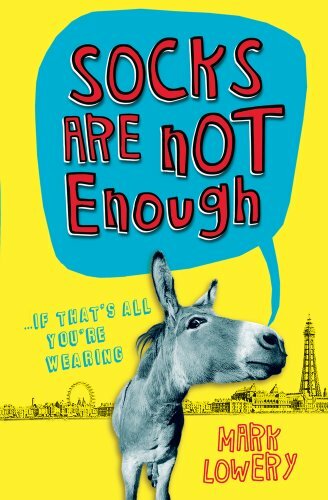 Nevertheless, this book is recommended – for those who like their humour slapstick and their underdogs to win the day.